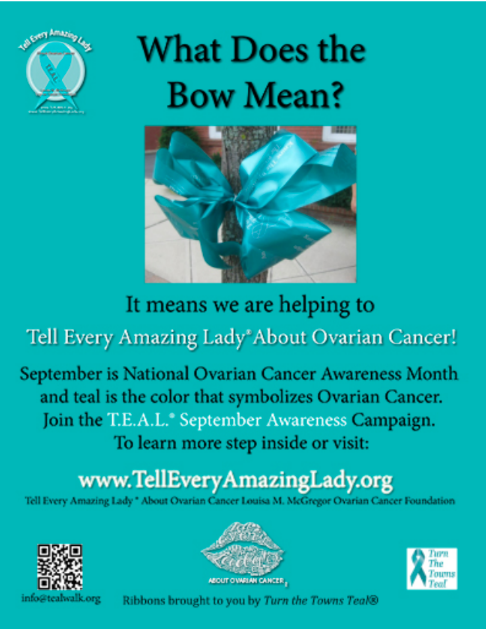 PARK SLOPE – In honor of National Ovarian Cancer Awareness Month in September, T.E.A.L.—short for “Tell Every Amazing Lady About Ovarian Cancer”—will dress a section of Brooklyn in teal next week to help raise awareness for the disease. T.E.A.L. is teaming up with the North Flatbush BID and the Park Slope Fifth Avenue BID on Monday to tie teal ribbons—the color symbolizes ovarian cancer—onto trees along north Flatbush and 5th Avenues. The event will take place on Monday, August 20 from 3pm to 7:30pm. Call 917.310.4835 or email info@tealwalk.org if you’d like to volunteer. In case of rain, the event will be rescheduled for Tuesday, August 21. The mission of T.E.A.L. 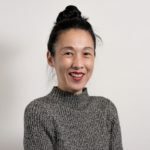 is to “promote public awareness and education of the signs, symptoms and risk factors of Ovarian Cancer, while providing support to survivors and raising funds for research in order to find the cure for Ovarian Cancer,” according to the organization’s website. On Saturday, September 8, the organization will host its 10th Annual Brooklyn T.E.A.L. Walk/Run in Prospect Park. The fundraising event celebrates survivors of ovarian cancer with the T.E.A.L. Survivor Ceremony, as well as families who have been affected by the disease. Participants can register ($35 in advance or $40 on event day) for the non-competitive 2.5-mile walk and 5K run as an individual or with a team at tealwalk.org/Brooklyn. Runner check-in begins at 7:45am with activities including face painting, vendor booths, photo booths, educational booths, and games starting at 8am. The walk kicks off at 11am and festivities, including live entertainment, will begin at 11:30am at the Prospect Park Bandshell. To register or to learn more about the T.E.A.L. Walk/Run for Ovarian Cancer Awareness, visit teal.telleveryamazinglady.org. Thank you for promoting this event. My sister passed away from ovarian cancer 10 years ago, and the disease does not receive as much attention as some other forms of cancer.